The cost of breeding a foal: Is it really worth it? It’s probably a lot cheaper to buy a horse than it is to breed one. Who would breed a horse when you can buy one for half the cost of breeding it? 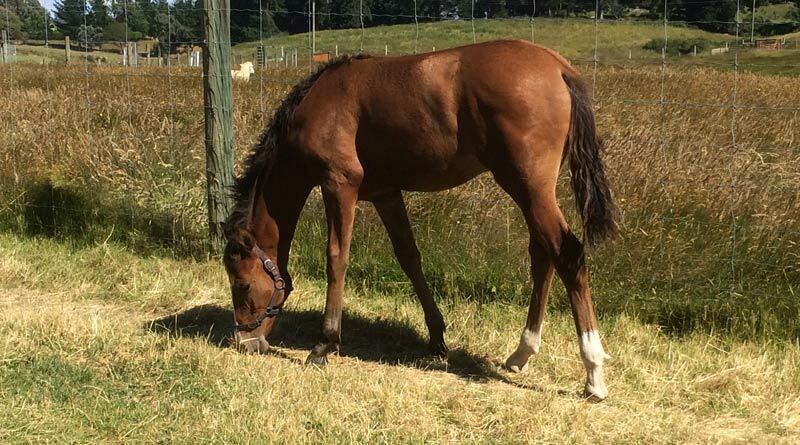 This article, written by late New Zealand Arabian breeder Gabrielle Deuss, outlines the financial commitment it takes to breed a foal. Note: While the figures in the article, which was written several years ago, will vary depending on location, breed and circumstances, the basics are the same the world over. This an age-old dilemma for breeders! While a few facts will not convince the unconvincable, I thought it might be useful to look at how much it costs to breed a foal and raise it to an age where it can be broken to saddle. The following is for a gelding raised to three years and trained to saddle. As prices vary throughout the country, this should not be taken as absolute, it is an estimate, and an averaging of costs from personal experience and discussion with other breeders. Costs can be reduced a lot if there are no veterinary costs, you run an “organic” operation (ie: no drenching), you allow natural wear and tear on hooves, and you use a local stallion with a lower stud fee. It does not include the costs of broken rails and fences, visits to the doctor after your head has been bashed in, or your toe broken. Neither does it include the mandatory visit to a psychiatrist to explain why you got into this in the first place (And how you are going going to get out!) The asterisks relate to costs of registration. I know that many people will look at the above chart and guffaw with laughter at the total cost. It seems completely outrageous when one looks at the prices horses are advertised for. My math isn’t that good (just as well), but I used the computer to sum the above. Any horse advertised for $4000 is considered expensive, but if you look at the above, one might well say that it was cheap. You can of course reduce these costs if you have your own stallion, but then you must share his costs across those of the foals he sires. Not many people send their mares to professional people to ensure they foal safely, but the above is one genuine quote I had for this service. Service fees can go as high as $1350 including tax; vet bills can reach $1000 or higher if you use AI. If you have your own property, there are no direct costs of grazing, but the horse excludes other opportunities, so one should really consider grazing as a cost. Grazing generally can be as low as $10 per week and up to $60 in my experience. The cost of hay and lucerne (alfalfa) varies depending on the season. If the horse needs a cover, there is another $200 for winter and a similar amount for a summer rugs. If you show your horse, again the costs rise, for transport, entry and ground fees, and the washing and polishing equipment. I was talking to a local colleague recently. His view was that veterinary fees should be much higher than they are if people really paid for the quality of service that they are getting. These costs make the idea of horse ownership become more difficult for the ordinary person. But it is the world within which we operate. always pregnancy test mares at 100 days so you don’t waste extra feed if they are not in foal. But, the question remains. Why breed? You will get the same horse at three years old for less than half the price. They are not worth anything until they have some miles under their belt and have proved themselves. Then you can ask maybe $5000 for them. You don’t want $1400 for that 2-year-old filly?! He’s trained in, going well, five years old, and I want $900 for him! You can’t sell him on “drip feed”, you are not a bank! I rescued him from the meatworks, only cost me $200! I was thinking of asking $2500 for her, do you think that is too much? If you can’t afford a horse, go to the meatworks. That’s where I got Joey. I have changed the quotes a little to protect myself from the potential wrath of the originators of the comments, and they are not pejorative. They just help to illustrate the environment within which we operate. All breeds probably have the same issues to face. Is there anything that can be done to improve the returns to breeders? Can breeders expect to break even or even turn a small profit – or should we always look at horse breeding as a hobby? Every now and then, one breeder, or some strains become popular and highly sought after and prices rise because of the law of supply and demand. Maybe we should take some lessons from the New Zealand Dairy Board and set up a cooperative venture to promote the Kiwi bred horse. Sharing promotional expenses, and investing in some kind of quality system which says that horses bred by members of this cooperative are guaranteed to be of sound conformation, have been appropriately treated (vaccinated, wormed, hooves cared for, etc) and handled from birth by approved handlers and are genuinely what they are claimed to be (ie, there are no hidden weaknesses). There are breeders already who cull their unsound and poor quality horses (to the meat works to be rescued by some soft-hearted horse lover). One always balances the pleasure one has in activities like this against the costs. The pleasure is indeed high. Maybe it is worth it after all. That is what the problem is in the U.S. these breeders perpetually over breed so many horses that they can’t sell them without loss, if they don’t get what they want for them they haul them to auctions knowing the kill buyers will be on hand to buy most of them to fill up their trucks the only ones that are saved are the ones the rescues manage to buy after outbidding the killers. If the bills in congress that would put a stop to hauling U.S. horses to slaughter in Canada could ever be passed it would put a stop to over breeding because there would be no easy way to get rid of the horses that the breeder couldn’t sell.